ClearWater Environmental prepared an Environmental Assessment for NC SEPA compliance for a new municipal raw water intake in Lake Adger. The EA was reviewed and a FONSI was issued by the NC Department of Natural Resources. Services for this project included a comprehensive wetland delineation, threatened and endangered species survey, public hearing, scoping, and public review. 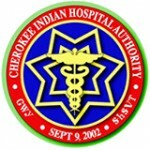 ClearWater Environmental prepared an Environmental Assessment for NEPA compliance for new Cherokee Hospital. The EA was reviewed and the FONSI approved by the Bureau of Indian Affairs. Services for this project included a comprehensive wetland delineation, threatened and endangered species survey, scoping, public review, and Section 404 US Army Corps of Engineers Permit. ClearWater Environmental prepared an Environmental Assessment for NC SEPA compliance for a new Waste Water Treatment Plant and discharge into the Cheoah River. 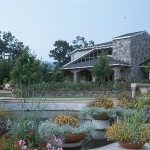 The EA was reviewed and a FONSI was issued by the NC Department of Natural Resources. Services for this project included a comprehensive wetland delineation, threatened and endangered species survey, public hearing, scoping, and public review. ClearWater Environmental prepared an Environmental Assessment for NC SEPA compliance for a new water line and 14 MGD Water Intake on the French Broad River. The EA was reviewed and a FONSI was issued by the NC Department of Natural Resources. Services for this project included a comprehensive wetland delineation, threatened and endangered species survey, and Environmental Assessment for SEPA compliance. ClearWater Environmental conducted a comprehensive wetland delineation and threatened and endangered species report for a 500,000 gallon per day WWPT plant expansion. ClearWater Environmental prepared an Environmental Assessment for NC SEPA compliance for a new 12 mile raw water line and 12 MGD Water Intake on the Broad River. The EA was reviewed and a FONSI was issued by the NC Department of Natural Resources. Services for this project included a comprehensive wetland delineation, threatened and endangered species survey, public scoping, public hearing, Section 404 permitting and Environmental Assessment for SEPA compliance. 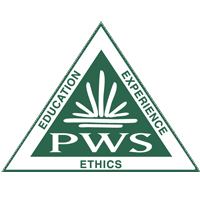 ClearWater Environmental prepared an Environmental Assessment for NEPA/SEPA compliance for over 5 miles of sanitary sewer lines. Project reviewed and FONSI approved by the US Environmental Protection Agency, Project included comprehensive wetland delineation, threatened and endangered species surveys including consultation with the USFWS regarding the endangered Appalachian elktoe, public hearing, scoping, public review, and Section 404 US Army Corps of Engineers Permit. 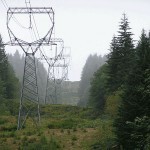 ClearWater Environmental prepared an Environmental Assessment for NEPA compliance for new 115kv transmission line over the Blue Ridge Parkway. The EA was reviewed and the FONSI was approved by the U.S. Department of the Interior, National Park Service. Services for this project included a comprehensive wetland delineation, threatened and endangered species survey, interagency meetings, scoping, and public review. The project also included environmental studies on US Forest Service land and environmental reporting in order to obtain a Categorical Exclusion from the USFS. ClearWater Environmental Consultants, Inc. conducted a comprehensive wetland delineation and threatened and endangered species report for the North Carolina Arboretum in Buncombe County, North Carolina. The project also included obtaining a Categorical Exclusion from the US Forest Service. 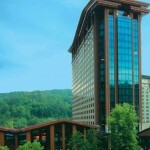 ClearWater Environmental prepared an Environmental Assessment for NEPA compliance for new Cherokee Casino in Murphy, NC. The EA was reviewed and the FONSI approved by the Bureau of Indian Affairs and the Federal Highways Administration. Services for this project included a comprehensive wetland delineation, threatened and endangered species survey, scoping, public review, and Section 404 US Army Corps of Engineers Permit and NC Division of Water Resources 401 certification.